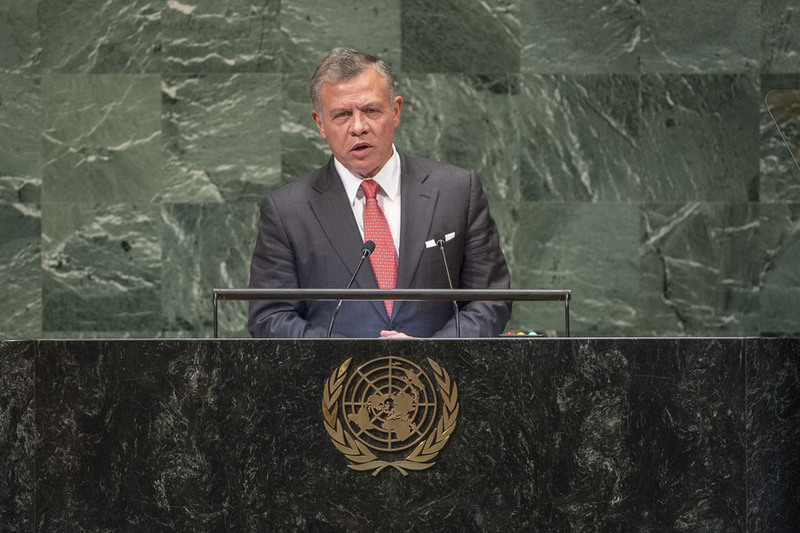 ABDULLAH II IBN AL HUSSEIN, King of Jordan, stressed the importance of collective action in ending the serious crises in the Middle East, especially the long denial of a Palestinian State. The Palestinian people have equal rights to a future of peace, dignity and hope. Only a two‑State solution based on international law and relevant United Nations resolutions can meet the needs of both sides: a viable, independent, sovereign Palestinian State on the 1967 borders with East Jerusalem as its capital, and a secure Israel, fully part of its own region, recognized by Arab and Muslim States around the world. Describing a one-State solution as “ugly and undemocratic,” he said, “it is by no means an alternative to a two‑State peace settlement”.